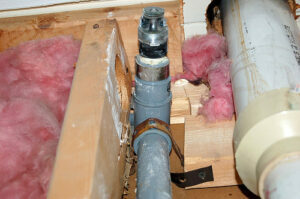 > Calgary’s Home Renovation Blog > plumbing > Why are Poly-B Plumbing Lines an Issue? 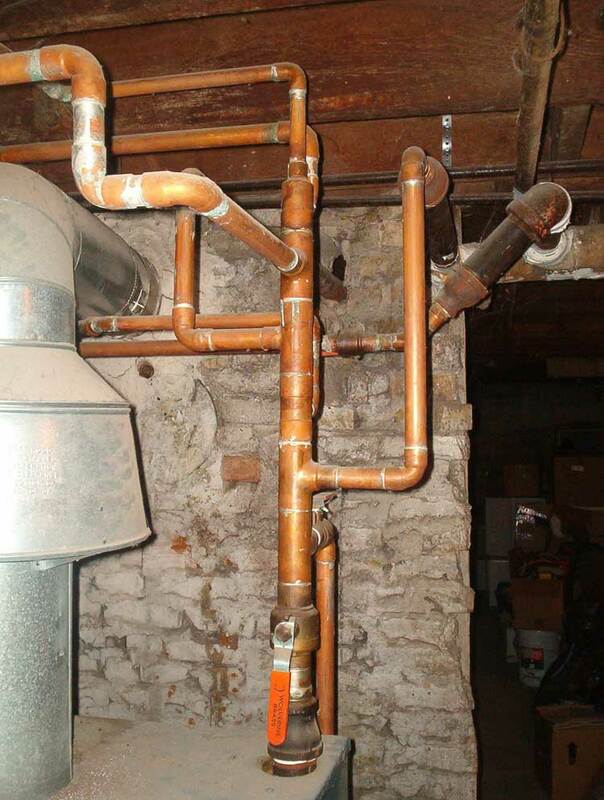 What in the world are Poly-B plumbing lines? How do I know if I have Poly-B plumbing lines in my home? Why did we start using Poly-B plumbing lines in homes? Why do Poly-B plumbing lines leak? What is the solution if my home has Poly-B plumbing lines? Let’s dig in and chat about what I know about these questions that arise around Poly-B plumbing lines! What are Poly-B plumbing lines? Poly-B is short for polybutylene, a plastic resin. Poly-B plumbing lines are plastic plumbing lines that run inside of the interior floor and wall spaces to supply hot and cold water to the various plumbing fixtures throughout some homes. Poly-B plumbing lines look like plastic, and are typically light to mid grey in color. Because typical furnace rooms aren’t finished, you can often tell if a home has this type of plumbing or water lines by looking at the water lines leading out of the furnace room. During the late 1960s there was a copper shortage. As a solution to this shortage, the drastically rising price of copper, and the increase of plastic and petroleum based products, a new option for plumbing lines was created in a plastic based product. Because of the impact of historical events during the 1960s, Poly-B plumbing lines were used in homes that were built in North America during the late 1970s and into the mid 1990s. This new plastic product was also much easier for plumbers to work with. Instead of using a soldering [pronounced sod-ering] gun to solder, or “melt”, the edges of the copper components to create a permanent, continuous bond in copper plumbing lines, Poly-B plumbing line components were connected together with a crimping ring on the outside of the plastic components that are connected together. From the chemistry of the molecules that were used to create polybutylene, the bond on the carbon atom within the polybutylene molecule was a single bond. This single bond is a weak chemical bond, which caused the plastic resin material to be able to be bent by hand, and to degrade in the presence of chlorine and/or UV rays. In homes where Poly-B plumbing lines were used, if these plumbing lines were bent or exposed to UV rays prior to being installed, the stress of where the line was bent and/or the weakening of the carbon bond from the lines being stored outside in warehouse yards caused these lines to produce fissures or small pinholes once they were under pressure over time from municipal water sources. Once area(s) of these lines begin to leak, since the water inside is under the pressure of the main municipal water line coming into your home, the pressurized leak will spray into interior wall and floor cavities until it is fixed. Even small sprays of pressurized water can create massive water damage in short amounts of time as many materials used in residential construction here in Calgary will absorb, hold and even wick water (ie: drywall, MDF, wood, carpet, underlay, etc.). 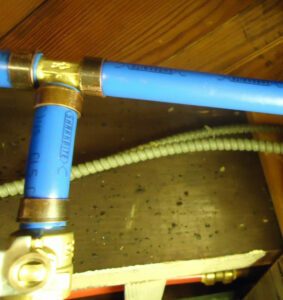 If your home has Poly-B plumbing lines, and you know that it has had a water leak before (or if you are not the original owners of your home but you see evidence that suggests there has been a water leak in your home) the solution is to replace all of your water lines with either copper or PEX plumbing lines as quickly as possible. If you know that the existing Poly-B plumbing lines in your home have already leaked, this may be an indication that the lines were stored in an outside warehouse yard prior to being installed in your home, and that the lines have already had exposure to UV rays. Because copper remains an expensive material to use, when Poly-B plumbing lines are replaced copper is rarely used in new plumbing installations. 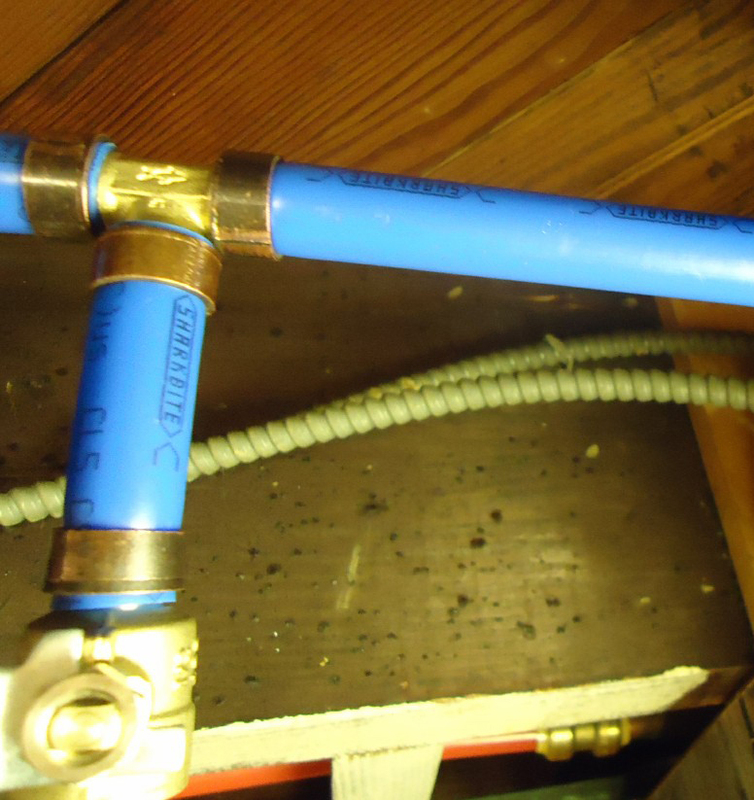 Rather PEX plumbing lines are used because they are cost effective and easy to work with. PEX is short for cross-linked polyethylene. The cross-linked polyethylene molecule is used as one application to create rigid plastic lines that are used as water lines in residential homes. PEX plumbing lines were invented in Germany in the 1970s, and began to be used in North America in the 1980s. Because the molecule in PEX plumbing lines contains cross linked carbon bonds, the resulting plastic is rigid, cannot be bent by hand, and does not chemically degrade in the presence of chlorine and/or UV rays. Throughout our years working on major renovations in Saskatchewan and for the last fifteen years here in Calgary, AB, we have upgraded the existing Poly-B plumbing lines to PEX plumbing lines in several homes. Since plumbing lines run inside the interior walls and floor spaces of your home, from the mechanical room out to all rooms in your home that have a water supply and to exterior faucet hose bibs, the work to replace Poly-B plumbing lines is extensive. When possible, we recommend replacing Poly-B plumbing lines at the same time as a major renovation, where all flooring will be replaced and walls are being opened up and/or (re)moved. Many areas where plumbing lines are running through the floor joist space can be accessed from above when flooring is replaced. Once the existing flooring material is removed, then we remove the sub-flooring material and replace it prior to installation of the new flooring. Areas where plumbing lines are running through interior walls will require the drywall on one side of these walls to be removed to allow access to replace these lines. 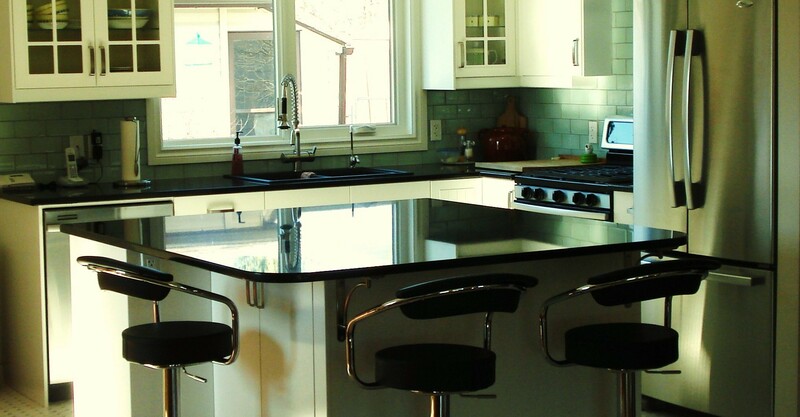 As you can see this work will be throughout your home and may be extensive depending on the number of plumbing fixtures that are in your home. 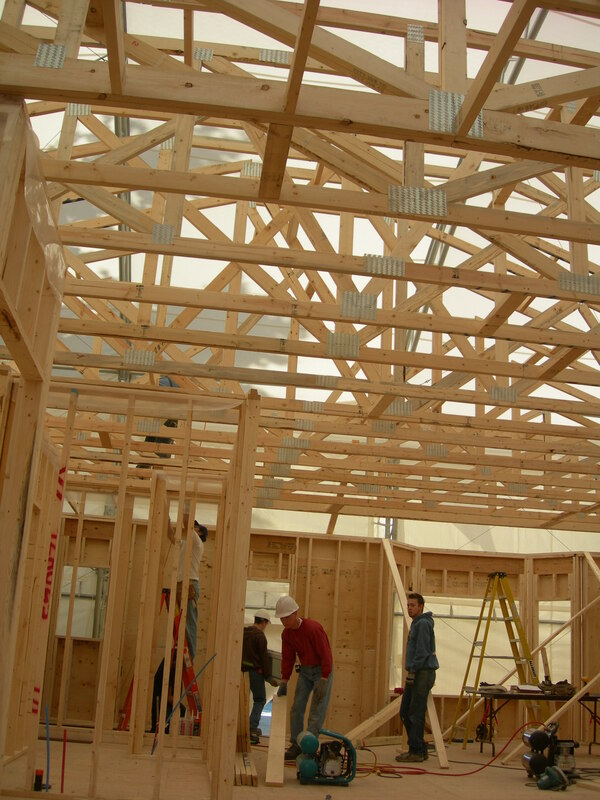 Since the finishes of all homes are wearing down over time, but the structure of most homes should last for centuries, major renovations are an excellent way to allow the structure of your home to last for decades still to come! 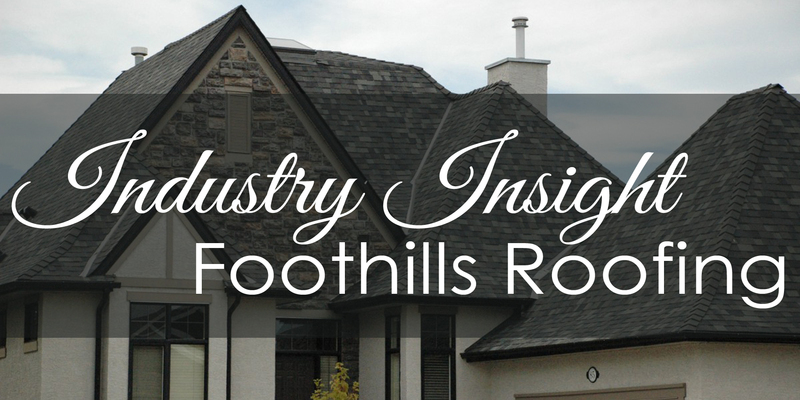 If you are concerned that your home has Poly-B plumbing lines and you see that the interior finishes of your home are beginning to look tired and worn out, we’d love to help you create a plan for renovating your home to perfectly reflect your unique personality!